Even though, lamentably, we’re quite far away from actually being able to visit exoplanets, this hasn’t stopped one particularly awesome graphic artist, going by the name of Chungkong, from creating a set of rather marvellous travel posters for them! 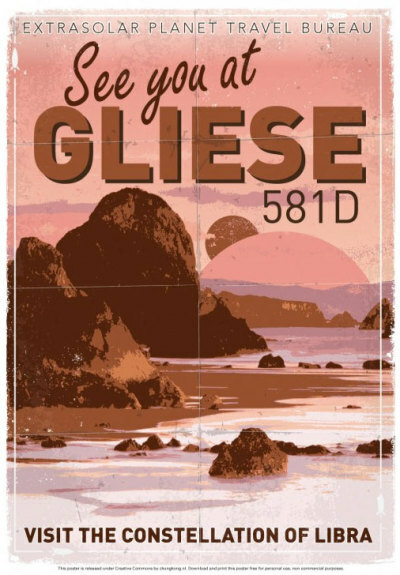 If you like these, you should also check out Steve Thomas’ Solar System travel posters! This entry was posted in art, Imported from Livejournal and tagged art, culture, planets. Bookmark the permalink.